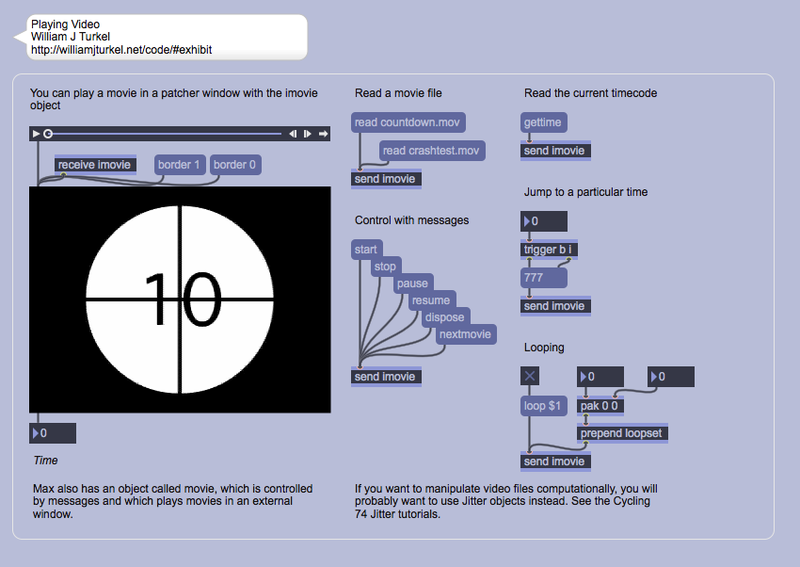 Max is an excellent choice for real-time interaction with multimedia. Below are some examples to help you get started. In each case, there are a wide variety of more advanced options and possibilities that may not be immediately obvious. As always, consult the Max help, reference and tutorial files for more information. Note also that these patches work on the Mac but may have to be modified for Windows. 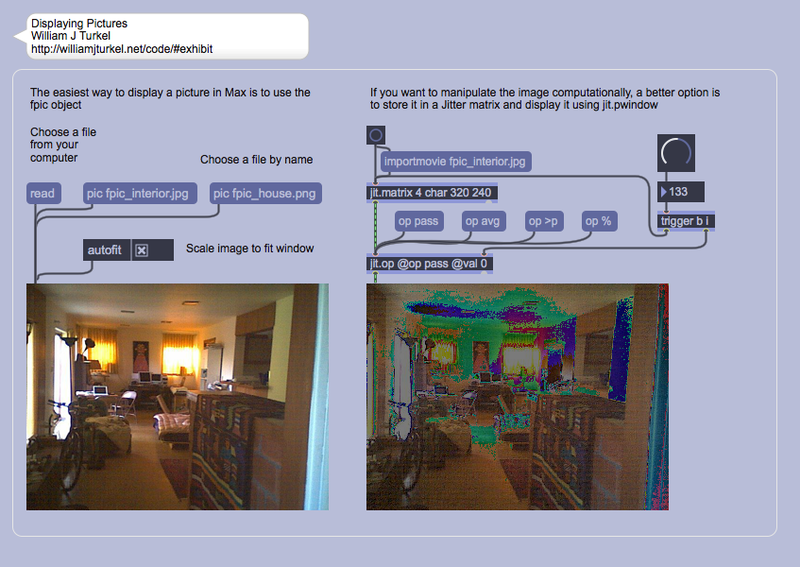 You can display a picture with the fpic object. If you want to manipulate it computationally, however, you will want to use the Jitter matrix system. The raw code link is here. 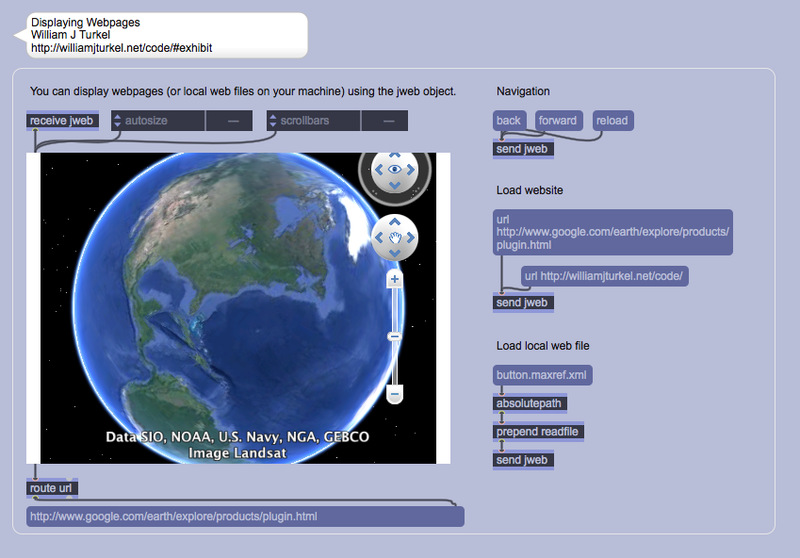 You can display a web page (or web files on your local machine) using the jweb object. Unfortunately you don’t have much ability to automate navigation within the webpage but basic browsing is supported. The raw code link is here. 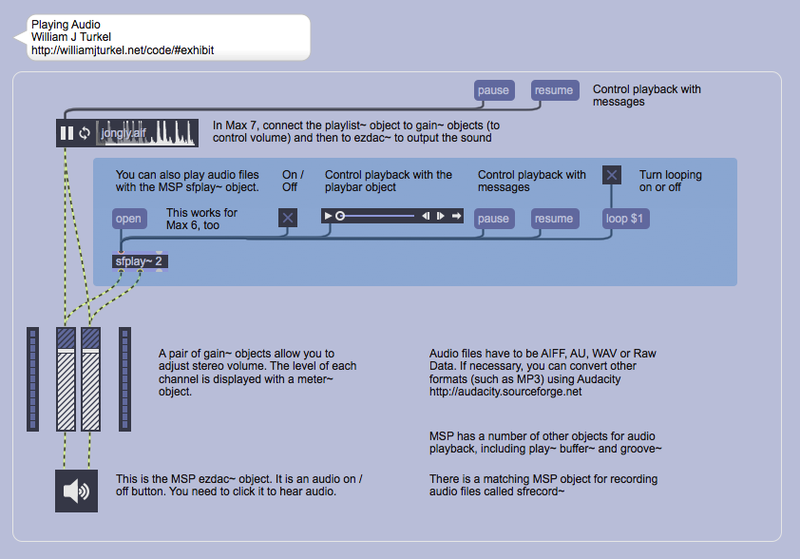 Audio in Max is handled by a layer of objects known as MSP (Max Signal Processing). MSP object names end in a tilde (~) and audio patch cords look differently than Max’s message-passing patch cords. Basic use of the playlist~ (only in Max 7) and sfplay~ objects are demonstrated in the following patch. The raw code link is here. Max objects imovie and movie let you play QuickTime movies in the patcher or in an external window, respectively. The patch below shows some basic options. For more involved projects, Jitter objects are probably more appropriate. The raw code link is here. Finally, it is also possible to interactively manipulate 3D models that you design in another program (like SketchUp). 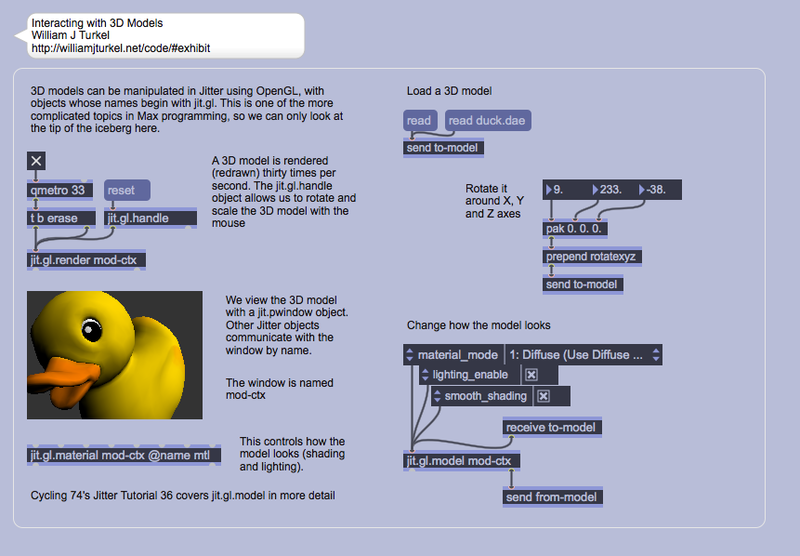 To be used in Max, the model has to be exported in DAE format. The following patch gives some idea of the possibilities, which are extensive. The raw code link is here.